The protection of the environment and sustainable development have always been important to Tour & Taxis. This devotion results in general measures for all the buildings on the site. Project T&T, the site’s administrator, encourages event organisers, the companies of the Royal Depot and the visitors to reduce greenhouse gas emissions and to grow in a sustainable manner. A combined project for a " sustainable city district " is foreseen at Tour & Taxis which involves the construction of 1,000 to 2,000 homes, shops, offices, services, public amenities, the headquarters of Brussels Environment, all developed around three main themes: revitalised architectural heritage, sustainable communities and water. 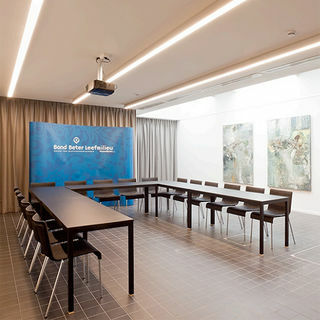 Meet & work in a creative environment or organize a special business gathering... BluePoint Brussels has the right solution! The Event Lounge, a new name, a new all in one concept for the organization of your meetings, conferences, seminars and events at an already renowned location by event and meeting organizers: the former 2FC studio and ex SAP Lounge. 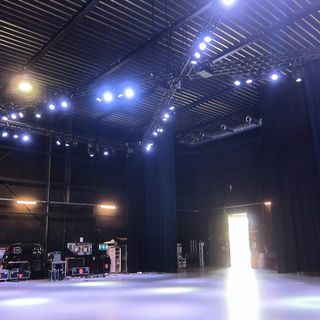 A modular meeting place for your events with one huge room of 1000m². The Event Lounge -fully equipped and entirely decorated- puts at your disposal a bar and different rooms to organize your cocktails, walking dinners and networking opportunities. There are also different convention rooms available of which two with a capacity of 70 persons, a press room and 6 meeting rooms up to 16 persons. This elegant universe combining modern and baroque style also puts the latest audio-visual equipment at your disposal. We offer you a high standard package to host at the best your events or meetings as of 5 persons. The "Event Lounge" aims to actively reduce its ecological footprint. 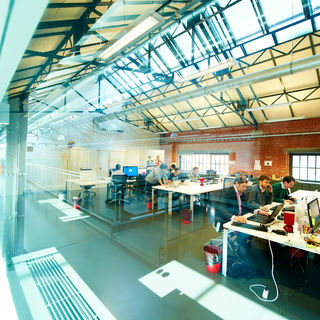 As a member of CO2 logic, to reduce its emissions, the objective is to provide a room designed to be more sustainable in order to limit the impact on the environment. Concert Noble, a meeting place for all occasions Right from the beginning, in 1785, "Concert Noble" has been conceived as a meeting place. First it was restricted to noblemen and women and later it became a well cherished gathering place of people of distinction.This is still so today. 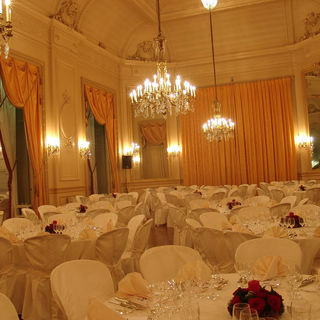 Whether you organize a banquet or a ball, a fashion show or a press conference, "Concert Noble" offers you the most exclusive venue in Brussels. 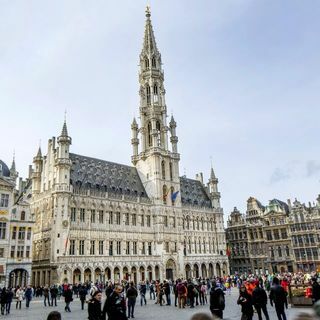 Located in the heart of Brussels, within walking distance from the European Institutions, you can hardly find a better location. "Concert Noble" consists of a "cascade" of stately rooms in different sizes culminating in the famous Ballroom, which can seat up to 400 guests for a banquet. The lounges provide a unique setting for receptions up to 600 persons. The rooms can be rented entirely (800 m2) or partially. Words can not describe the elegant atmosphere of "Concert Noble". We invite you to contact us, we will be pleased to show you around. 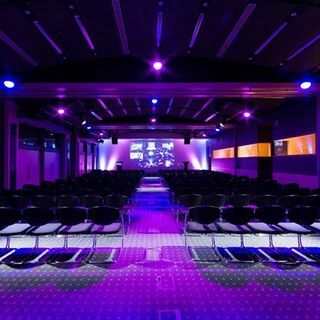 The Edificio group offers four luxury halls for hire in Brussels: Concert Noble, the Solvay Library, Hôtel Wielemans (Wielemans House) and the Sky Hall Brussels Airport. 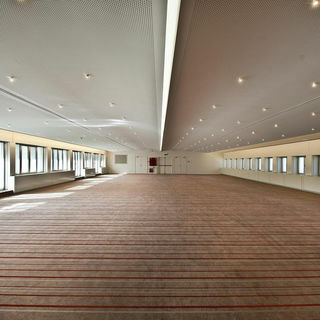 These four very special halls are close to the European district and to Brussels-National airport. Recycling and waste sorting are, of course, among the steps taken to protect the environment. Their electricity supply is also more sustainable and they try to reduce the use of printed paper as much as possible. The promotional visuals are printed on paper made entirely from vegetable fibre. In addition, they also encourage the use of Brussels-based suppliers both for events and for maintenance of the sites. The use of public transport is also encouraged as much as possible. LED or neon lights are used in the areas not open to the public (kitchen, archives, offices, etc.) and halogen lighting in the Concert Noble (-30% consumption for 800 bulbs). 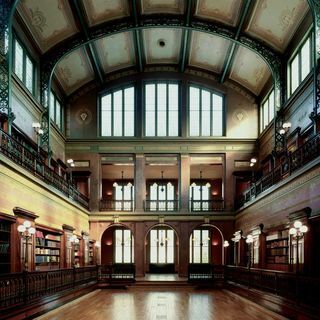 Other examples are the optimisation of heating systems without air-conditioning (blower) or solar films placed over the windows of the Solvay Library to avoid overheating in summer. Finally, their caterer uses car-sharing as a way of reducing the environmental impact of the staff for events (and extra personnel recruited in Brussels). For the catering, they use fabric napkins, free-range eggs, and the fish and shellfish come from certified fish pools. SQUARE is run by GL events, the premier international events management company. 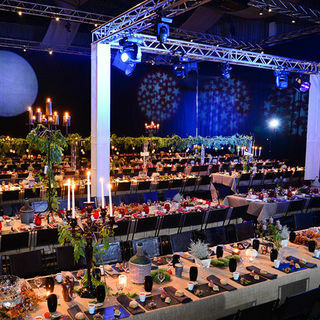 A major player in the events and hospitality industry worldwide, the GL events group offers streamlined solutions for hosting, designing, staging, producing and coordinating an event. 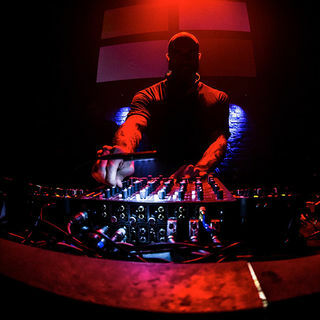 GL events has forged an unrivalled reputation for staging highly complex, high-profile events all over the world. Numerous initiatives have been developed over the last few years, notably regarding the environment through the "Think Green" programme, implemented by the Sustainable Development Department in 2009, in liaison with field correspondents within each of the Group's professions. Team training in eco-design, organisation of eco-friendly events or responsible purchasing, product innovation in terms of carpets, eco-designed stands and lighting, work on optimising the logistics chain and travel, as well as responsible building management through the ISO 14001 certification project for French reception venues. In 2011, in order to support these processes and incite other stakeholders to embrace actions aimed at reducing environmental impacts, the Group signed a framework agreement with ADEME (the French Environment and Energy Management Agency). This cultural institution, organiser of concerts and holder of the "Entreprise éco-dynamique" label, has, among other things, introduced a system of reusable cups and encourages the use of public transport and car-sharing on its Website. It also calculates the ecological footprint of its activities. At Place Royale the heart of Brussels, the Magritte Museum pays tribute to one of the greatest Belgian artists through over 200 of his works, paintings, drawings, sculptures or posters. Hotel Althenloh which is part of the Royal Museums of Fine Arts offers a stunning setting for this unique collection. And if surrealism is at home here, energy pragmatism is also all around you:: The renovation and enhancement of the building fulfil precise ecological criteria. So, for example, photovoltaic solar panels have been installed on the roof, the electricity the building needs is guaranteed green, the windows have been fitted with anti-heat films, and the modernised lighting also achieves great savings. 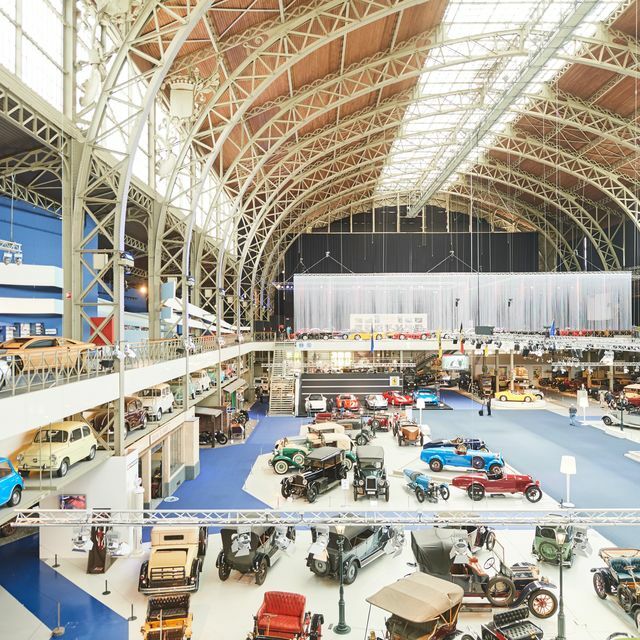 This museum, which holds the "Entreprise éco-dynamique" label, displays a unique collection of trams, buses, trolleybuses and taxis, which have been delighting the people of Brussels for nearly 150 years. Because the oldest models date back to 1869! As well as looking around 1500m² of space dedicated to the old-timers, visitors can continue with a nostalgic ride aboard an historic tram as far as Forêt de Soignes or the archways of the Cinquantenaire. 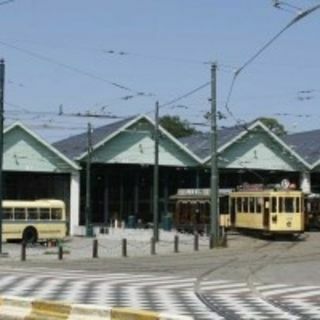 Guided tours can also be organised on request and a 1930s tram can be hired, including outside of opening hours. Perfect for adding an original touch to an incentive trip on a tram, with drinks and catering on board. 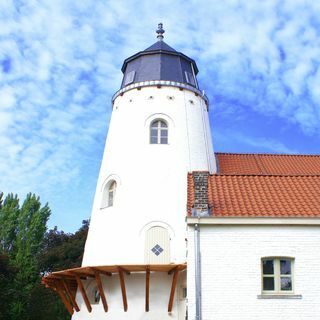 The Evere windmill was built at a time (1841) when the wind was naturally seen as a source of energy. 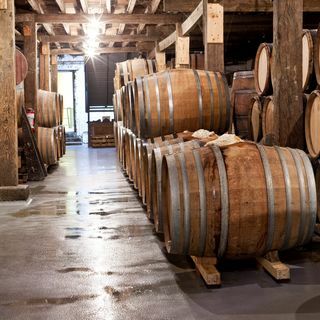 It has been brought back to life as the Brussels Mill and Food Museum and tells the story of the world of the milling trade, from the origins of milling through to the present-day large flour mills. 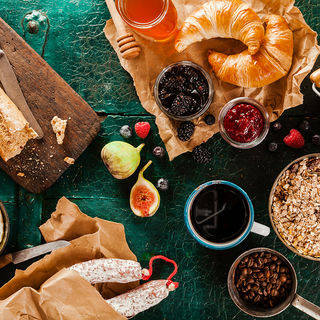 Since 2009, temporary exhibitions have also tackled the theme of food. Set up in 1996 to give everyone the opportunity to try or rediscover the pleasures of diving without having to travel half way around the world, this initiative - the deepest swimming pool in the world - was designed using technology aimed at protecting the environment: energy recovery systems and solar panels installed over the whole surface area of the roof means that the Nemo 33 pool consumes 50% less energy than a conventional swimming pool. 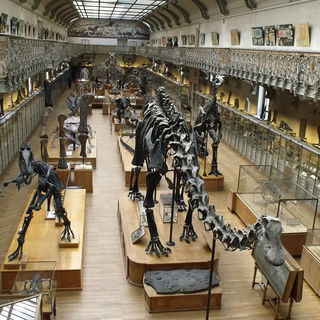 The Museum of Natural Sciences was set up in 1846 and soon became the showcase of the scientific research carried out and expeditions led by the Royal Belgian Institute of Natural Sciences. The Museum offers the opportunity to hire halls for your meetings or conferences. A unique and original place for holding your event. 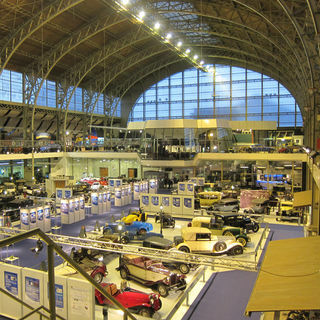 This Museum, which pursues a sustainability policy, has held the "Entreprise éco-dynamique" label since 2010. It has also added a new "Biodivercity" gallery dedicated to urban biodiversity. 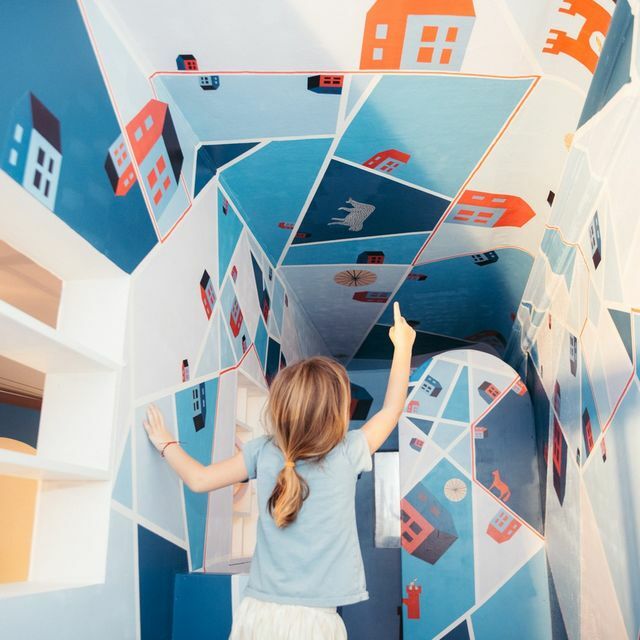 The gallery consists of two parts, "Observing biodiversity" and "Taking action for biodiversity", which tells visitors what they can do to help conservation and improve biodiversity in the city. Whether you are looking for quiet elegance or spectacle and panache ... memories are made from moments at La Monnaie! 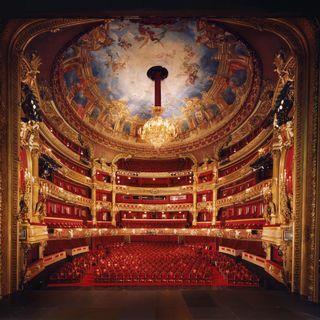 Belgium's national opera house offers a varied range of both historical and modern rooms for private events, from dinners and concerts to conferences and award ceremonies. It is perfectly located in the historic heart of Brussels, with extensive parking facilities and public transport within walking distance. 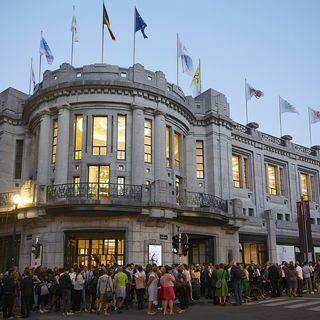 Holder of the "Entreprise éco-dynamique" label, the "Théâtre Royal de la Monnaie" is one of the leading institutions of Brussels and owes its reputation to many artistic initiatives. 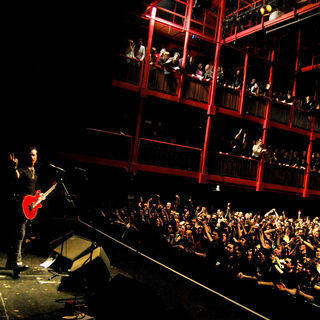 La Monnaie is noted for combining cultural programming with environmental recognition. Over the past four years, several initiatives that have a beneficial impact on the environment have been launched by the Centre for fine Arts. These focus on insulation, energy savings and up to standards of technical facilities. 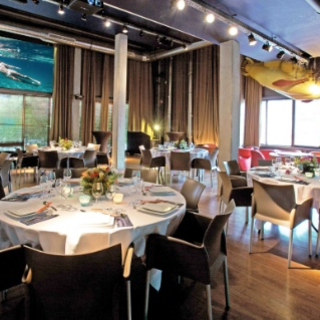 AA Dock's is an inspiring venue that guarantees a succesful production each and every time. This industrial complex of contemporary architectural design, strategically located at exit 17 of the Brussels ring, offers a wide range of possibilities. AA Dock's provides meeting rooms in a building equipped with state-of-the-art eco-friendly technologies for ventilation, insulation, heating and cooling air. The building has a multi-purpose 560 m2 hall with an 8-metre high ceiling, seminar rooms for 4 to 70 people, equipped with the very latest audiovisual and multimedia tools (projector, LCD screen, sound system, WiFi), a VIP bar/restaurant with integrated kitchen for 40 people and a studio for your photographs and filming. The Flagey cultural centre endeavours to operate in the most environmentally-friendly way it can. Several sustainable initiatives are planned, such as the use of more sustainable electricity, the use of a system to control air-conditioning or heating consumption and the replacement of conventional light bulbs with low-energy bulbs (LED lamps). As well as its two magnificent concert halls and a cinema, this Art Deco-style building has a number of function rooms of various sizes and high-quality technical equipment for any kind of event. 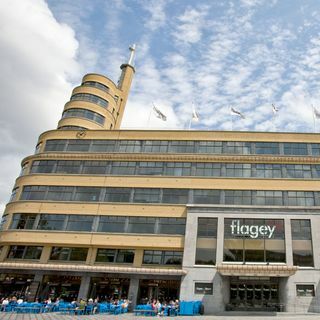 Alongside these cultural activities, Flagey makes its premises and services available to private users for holding various events: private concerts, conferences, conventions, functions, gala dinners, etc. 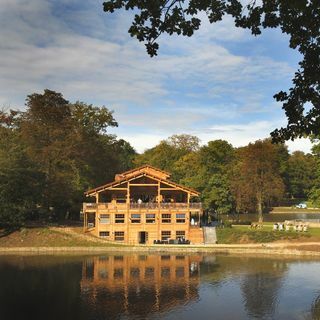 Chalet Robinson is a legendary landmark standing on its own island in Bois de la Cambre. Since it was first constructed in 1877, it has had to be rebuilt twice following fires. The latest rebuild was completed recently, putting great emphasis on species of wood sourced from sustainable forests and plantations. Chalet Robinson comprises several open function areas on two storeys and a wonderful terrace. The island is reached via two electric ferry boats. 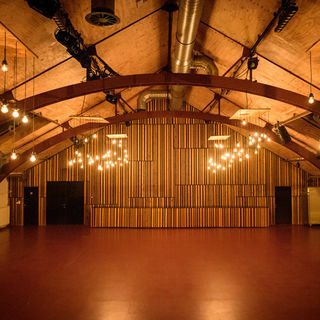 A very special site, ideal for hosting all kinds of events: functions, gala dinners, stand-up buffets, wedding receptions or sporting events, while at the same time benefiting from the leafy green setting of Bois de la Cambre and its different activities. 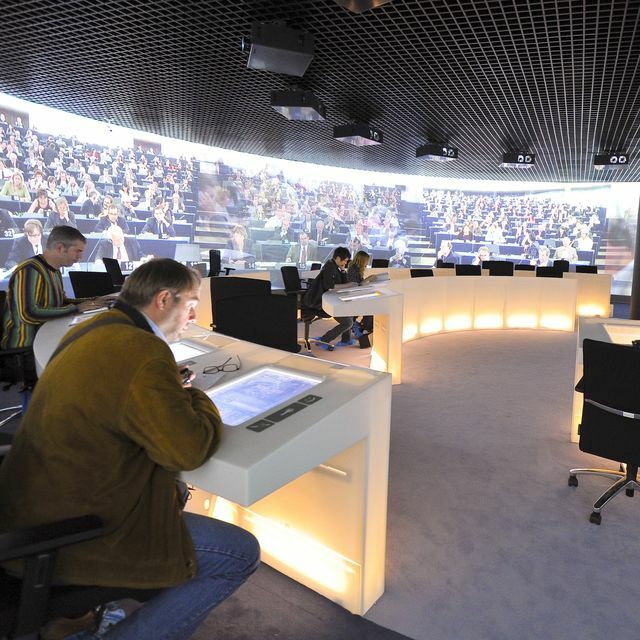 Do you want to rent a meeting room in Brussels? 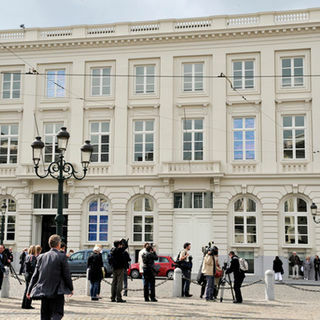 Conference Center bbl2meet is a modern 19th-century townhouse in the heart of Brussels. The 19th-century part of the building was recently tastefully renovated. The new part can boast a tasteful decor with sleek design furniture. 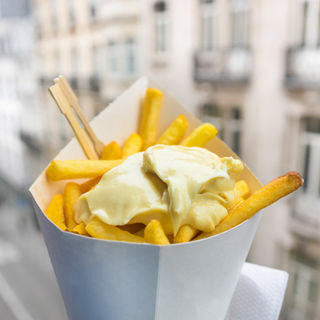 The building is located in a quiet area between the Rue de la Loi and the European Quarter, just 15 minutes walk from the Central Station and 5 minutes walk from the metro stations "Arts-Loi" and "Madou". The rooms are housed in a low energy building constructed and renovated to high energy and ecological standards. Solar panels provide a significant portion of our power. We get hot water from our solar boiler. We recover rainwater for toilets. We consume little electricity through efficient lighting and efficient techniques and devices. We are frugal with gas thanks to good insulation of the building and a high-tech glass facade behind which the passive use of solar energy is possible. During the afternoon we serve sandwiches or we offer a sustainable buffet from around the world. Ces activités sur la toile se sont petit à petit étendues sur le terrain, avec l’organisation de diverses formations (artistiques, multimédia...) ainsi qu’avec la création de " Rent-an-actor ", une agence dont le but est de jeter des ponts entre le monde du spectacle et le monde de l’entreprise, en valorisant l’expertise et la plus-value que peuvent apporter les artistes, notamment dans l’événementiel. La suite logique de ce parcours était de revenir au désir formulé lors de la création de Vertige asbl, à savoir investir un lieu qui pourrait accueillir et développer ces activités, dans une dynamique innovante et porteuse de sens.